Wartburg Theological Seminary (WTS) will honor forty-five degree and certificate candidates at commencement exercises on Sunday, May 20, 2018 at St. Joseph the Worker Church, 2001 Saint Joseph St, Dubuque, Iowa. “At commencement we celebrate the academic accomplishments and ministry gifts of all those recognized: degree and certificate recipients of many kinds poised to serve the church as pastors, deacons, and lay leaders. We also rejoice in the awards to those exemplary leaders receiving the church’s gratitude through honorary awards. 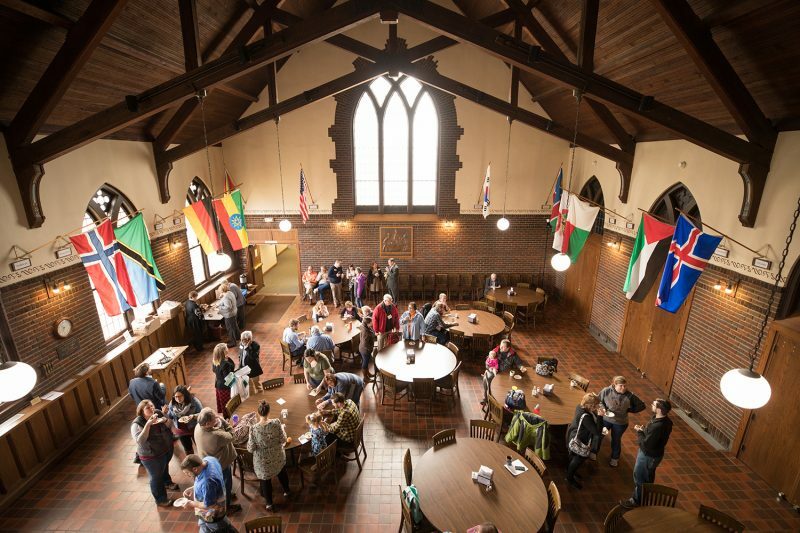 Wartburg Theological Seminary’s mission is to gather together candidates for ministry, form them in a community of learning, and send them forth to service in Jesus’ Name. 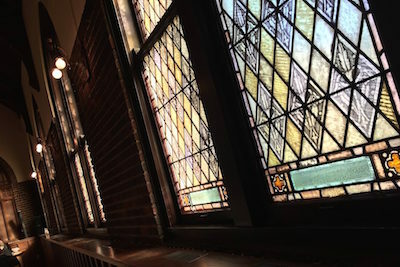 As the stained-glass window in Loehe Chapel depicts, Jesus Christ gathers disciples to send them forth with the Good News to the ends of the earth. Our graduates go with the promise that Jesus Christ is with them always,” says Dr. Craig Nessan, Academic Dean. The Honorary Degree of Doctor of Divinity will be presented to both Rev. Kenneth W. Wheeler, who is retired pastor and retired Assistant to the Bishop of the Greater Milwaukee Synod of the ELCA, and Rev. Prof. Gordon Jon Straw, Associate Professor and Cornelsen Chair of Spiritual Formation at the Lutheran School of Theology at Chicago. Growing up in Jackson, Mississippi, The Rev. Kenneth Wheeler, who was chosen by the Class of 2017 to deliver the commencement address, was educated in the Jackson public schools. He earned his Bachelor of Arts degree in Religion from Concordia College and his Master of Divinity from Trinity Lutheran Seminary. He has served parishes in Florida, California, and Milwaukee, Wisconsin, where he served 18 years as Assistant to the Bishop of the Greater Milwaukee Synod of the ELCA. Prior to retiring he served seven years of his career as the Senior Pastor of Cross Lutheran Church in Milwaukee. The Rev. Wheeler has been awarded the Distinguished Alumni Award from Concordia College and from Trinity Lutheran Seminary. He is also the recipient of the Milwaukee Black Excellence Award. In 1970 he was nominated as a Rhodes Scholar. The Rev. Prof. Straw has ministered in numerous congregations as pastor or interim pastor, served in outdoor and campus ministry, and given leadership on synodical and ecumenical committees and councils. He has worked with other Native leaders in the Evangelical Lutheran Church in America to develop both the Native American ministry emphasis and the Vine Deloria, Jr. Symposium at the Lutheran School of Theology at Chicago. The Living Loehe Award, which was established by Wartburg Seminary in 1973 as a way of honoring individuals who have given distinguished service to and through the church and exemplify Christ’s call to be disciples in the context of their own daily lives and professional commitments, will be given at commencement to both Dr. Roy Carroll, Professor Emeritus of Loras College and retired Cantor of Wartburg Seminary, and Samuel Goolsarran, who is Consultant Adviser of the Consultative Association of Guyanese Industry. Dr. Carroll demonstrated the Loehe tradition through his service to God’s mission in the musical life of the seminary community. After a tenure of over twenty years as Cantor and Instructor of Church Music at Wartburg Theological Seminary in Dubuque, Iowa, he retired from that position in May of 2017. In addition to his service as Seminary Cantor and Instructor, he recently concluded a forty-six year career of teaching music in secondary schools and colleges in Ohio, Wisconsin, and Iowa; he was named Professor Emeritus at the time of his retirement from Loras College in Dubuque, Iowa, in May of 2015. Goolsarran exemplifies the Loehe tradition through his continued dedication to advocating for the rights of the worker, currently as Consultant Adviser of the Consultative Association of Guyanese Industry Ltd (CAGI), the National Employer in Guyana. He is a retired Senior Specialist on Industrial Relations and Labor Administration at the UN International Labor Organization Sub-regional Office for the Caribbean, Port of Spain, Trinidad and Tobago. He holds a Master’s degree in Industrial Relations and Personnel Management from the University of London, and a general Arts Degree from the University of Guyana. On the 500th Anniversary of the Reformation, he was awarded the first “Martin Luther Award of Excellence in recognition of your commitment, faithful service and the spirit of the living Reformation within the Evangelical Lutheran Church in Guyana.” He is an appointed Member of the Order of Service of Guyana and has been awarded the Golden Arrow of Achievement for long and distinguished service in the field of Industrial Relations and Labor Administration. The public is invited to attend commencement activities throughout the day. Baccalaureate begins on Wartburg Seminary’s campus at 10:30 AM in Loehe Chapel. Followed by an open house and luncheon. Commencement exercises begin at 3:00 PM at St. Joseph the Worker Church, Dubuque, Iowa. Wartburg Theological Seminary is one of seven theological schools of the Evangelical Lutheran Church in America. Wartburg is accredited by the Association of Theological Schools and educates women and men to serve the church’s mission as ordained and lay leaders. 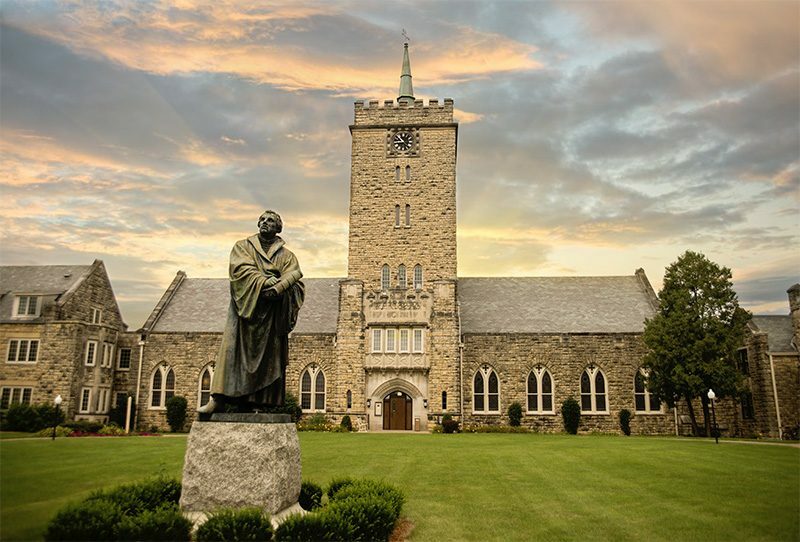 Established in Dubuque, Iowa in 1854, Wartburg Seminary is in its 164th academic year.